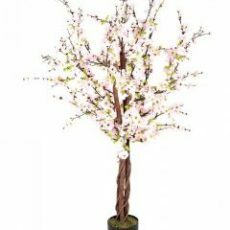 150cm/ 5 Feet tall replica cherry blossom tree with real wood trunk stems and twines, and silk flowers. An absolute stunner that will set off any table centre or room. Available in pale pink and ivory.